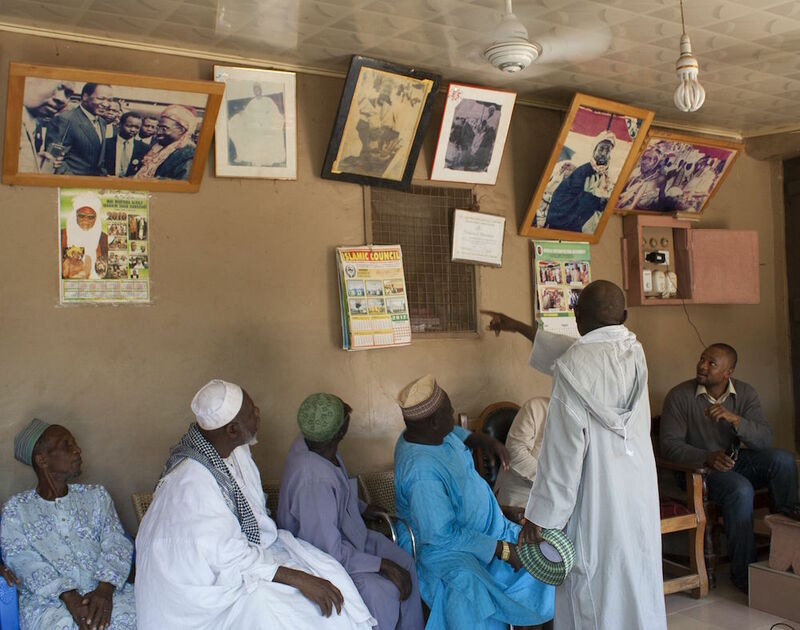 A leading elder explains the photographs in the Mossi chief's reception room. 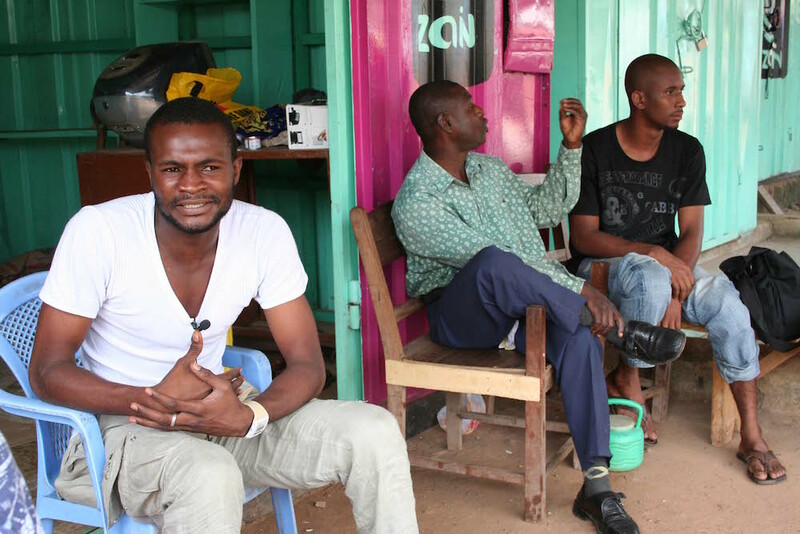 Young men meet in an informal afternoon discussion group. 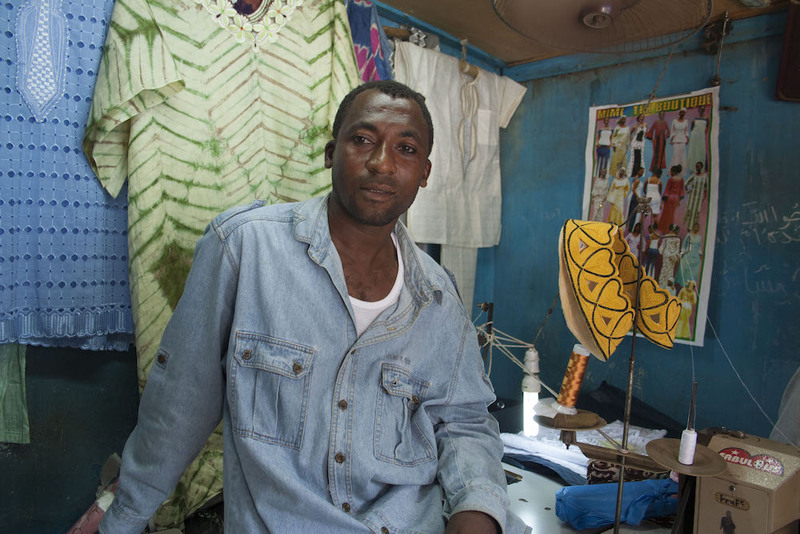 A section of the Central Market is devoted to sewing and embroidery of typical Muslim styles for men and women, by men tailors.This young tailor makes men's and women's embroidered outfits, but wears denims himself. Description: Muslims should be honest and hardworking, whatever their occupations.